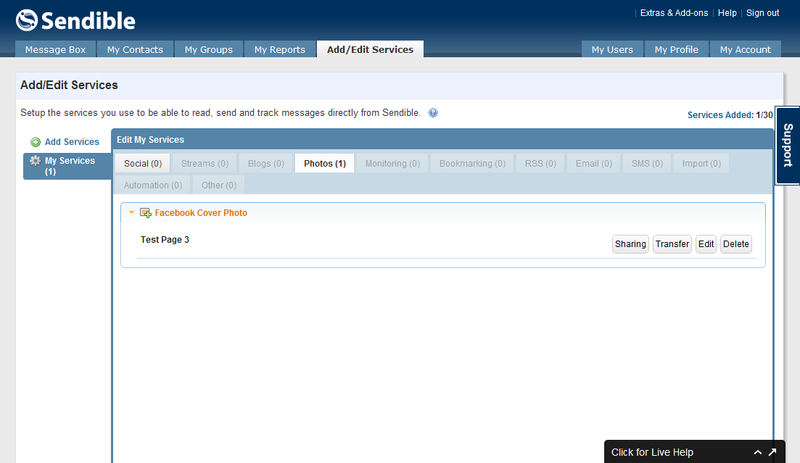 A recently added feature on Sendible’s social media management dashboard is the ability to update the cover photo of your Facebook page from within the management console. In this post, we’ll take you step by step through the process of setting up and then updating the page’s cover photo. To begin with our Facebook page doesn’t have a cover photo, although if it did we would just be updating it. 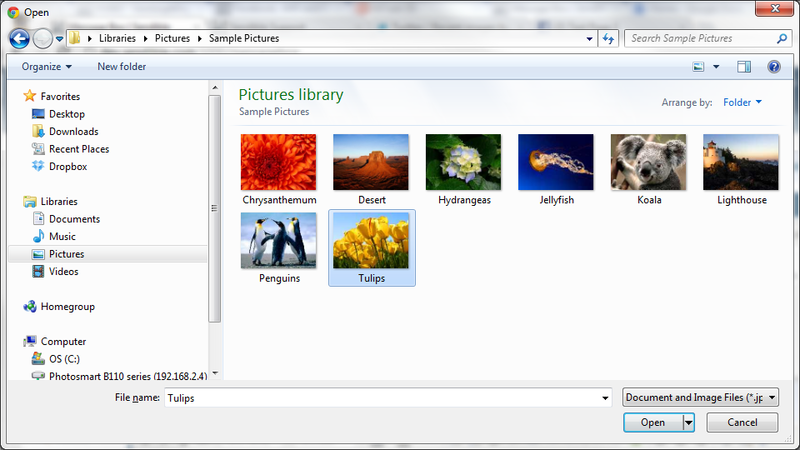 a) Open the Add/Edit Services tab, and from within the Add Service pane, open the Photos tab. 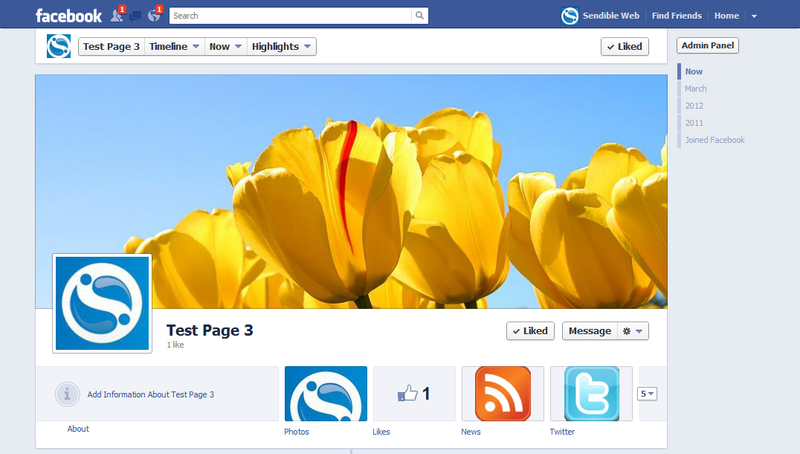 b) Next, choose Facebook Cover Photo by clicking Add. If you’re not already logged into Facebook, you’ll be given the opportunity to. 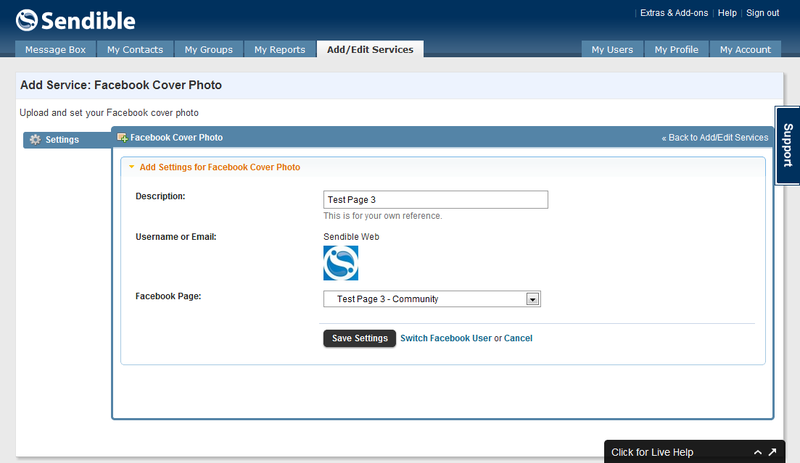 c) Now, choose the Facebook Page you want to use from the list of those you administer and click Save Settings. d) Click OK when the pop up shows. e) You should now see the new service in My Services. 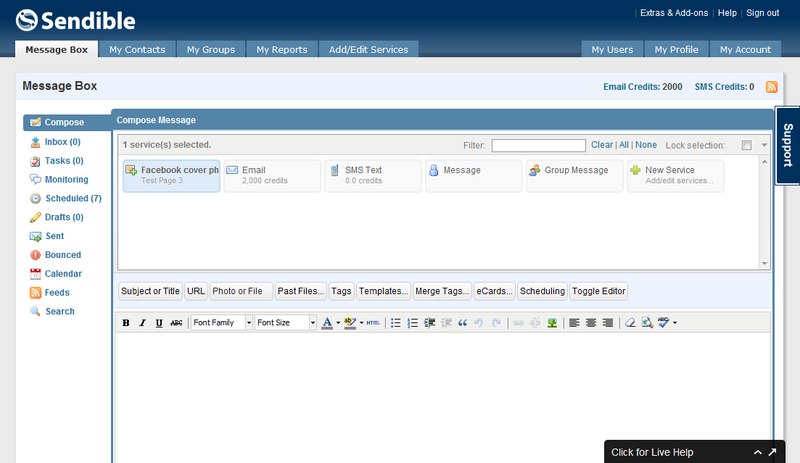 a) With the service now configured, simply go to Message Box to compose a new message. 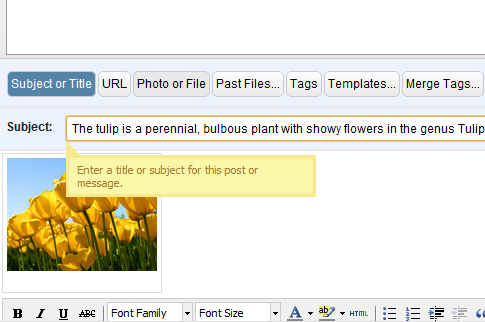 Choose the Facebook Cover Photo from the list of message types. b) Click Photo or File. c) Choose the image for your cover photo. d) Click Subject or Title and enter a name for your photo. a) Your Facebook Cover Photo should now be updated! Easter is on the way, so why not schedule your Easter greetings now, before you forget? Select the contacts you’d like to send to, choose a send date – and click the Create button. Sendible will take care of the rest, making sure that your message is delivered on time, no matter if your contact is on Email, SMS or any of the Social Networks you use. We’re excited to announce several new monthly messaging packages – now even more affordable than before. Upgrade your Sendible account to Pro for just $3 per month and get 25 free SMS messages every month. Sendible is a free messaging tool that enables you to schedule emails and sms messages to be sent in the future. Sendible allows you to import your Facebook friends’ birthdays, schedule an email or sms ahead of time and send it at a predetermined time on your friend’s birthday. Sendible can also be used for appointment reminders which can be set up months before the appointment takes place. Log in to sendible.com. You will then be taken to your Newsfeed where you will see your messages that have previously been sent or are going to be sent in the future. Click on Create New and then you are provided with choices either Email, Multi Message or Sms Text Message. In this case, click on Email. Enter the address in the To box, these can be retrieved from your contacts by clicking on To. 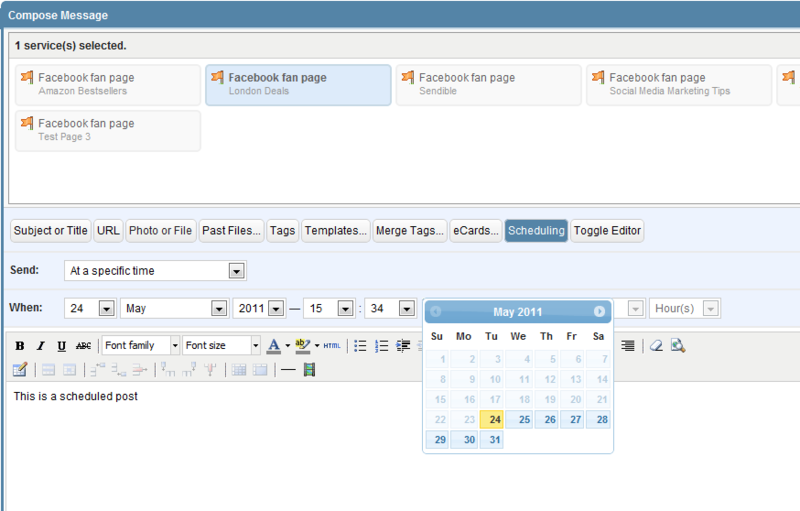 Choose the Send Date and time using the drop-down boxes or the calendar. You can now choose to make your email recurring or once-off. 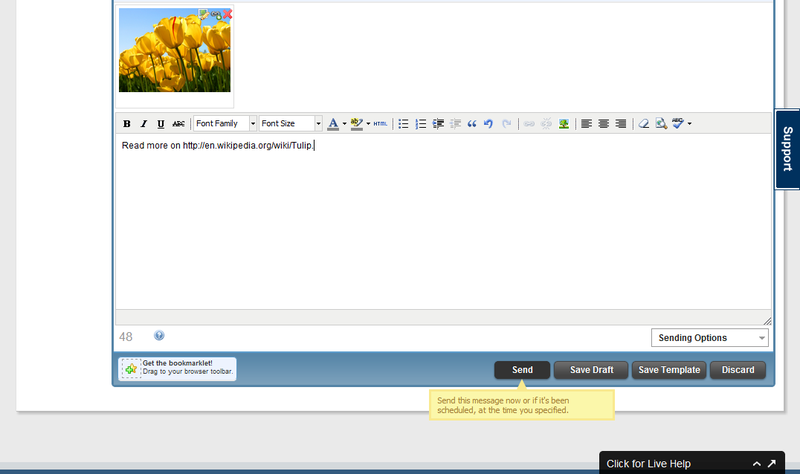 Add the subject, type your email and click Create. If you would like a notificiation of its delivery then click Notify me when the message has been sent. 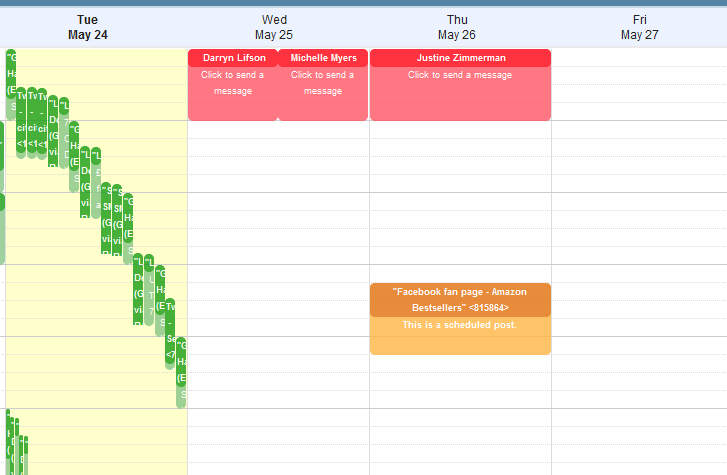 Very useful when scheduling! You also have the option to Attach a File (up to 5MB) and insert an image. Sendible also allows you to import all your Gmail, Yahoo and Hotmail contacts.